After more than 12 months in business, I’ve finally published a page of reference clients and some descriptions of the type of work with which Explore Communications has been engaged (see ‘Our Work‘). It’s a little bit like the old saying that a “cobbler’s children don’t have shoes” or any number of similar expressions that I discovered when I was doing some research into the origin of the expression – including my favourite: “the minister’s children have no morals”. Generally speaking, the phenomenon is called “vocational irony” – and in my case it comes down to being too busy to do Explore Communications’ own marketing! So, what sort of work has Explore been doing over the past year? It’s been really varied, ranging from tradition agency-style PR and case study development through to complete marketing strategy and program management. Clients have been predominantly in the IT space, but have branched into other fields too, including insurance, sport and retail. Explore has also been engaged in ‘pro bono’ work for start-ups, often based on a quid pro quo arrangement (the most recent trade was free yoga classes)! The projects to date has been rewarding, often challenging and always educational. I’m really looking forward to the year ahead, and the opportunities that 2013 and beyond will bring. 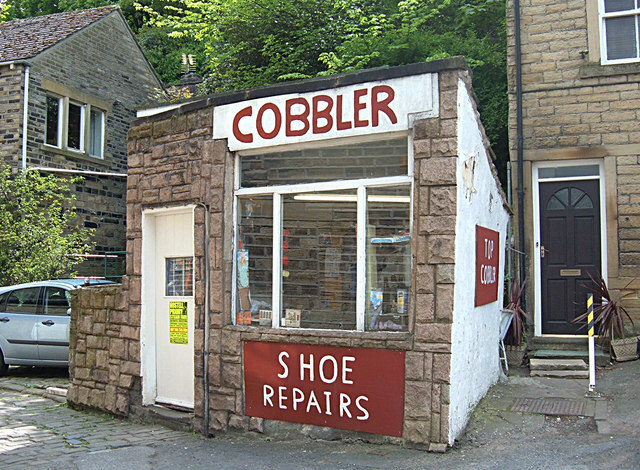 (Pictured above: “Cobbler’s Shop, Holmfirth”, Copyright michael ely and licensed for reuse under a Creative Commons Attribution-ShareAlike 2.0 Generic (CC BY-SA 2.0) licence.